This year was the twentieth anniversary of Mike Harskin's death. Mike had been a friend and a political activist of enormous talent.There was a celebration of his life in the House of Lords on the 25th of October which I was very sorry not to be able to attend. 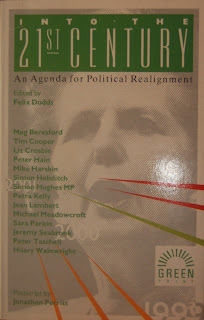 Mike died at the age of 29 and was at the time one of the group of Young Liberal (UK) who had in the 1980s been known as the 'Green Guard'. He had gone on to edit the Liberal Parties weekly newspaper Liberal News and to be a very successful councillor in Brent as well as the parliamentary candidate for Brent East - a seat the Liberal Democrats (UK) now hold. He played a critical role in gaining press for the Young Liberals throughout the 1980s - often in unusual circumstances. "it offers no radical vision for young people and little evidence of Liberal policies on Northern Ireland, the environment and other issues YLs had fought to be adopted." The party leadership were not happy, and when a delegation of Young Liberals including Mike Harskin met Gerry Adams to ask him to take his seat in parliament, party leader David Steel attacked them for bringing the party into disrepute. The Young Liberals went on to persuade the party to support the withdrawal of all British troops from Northern Ireland as a long-term aim. 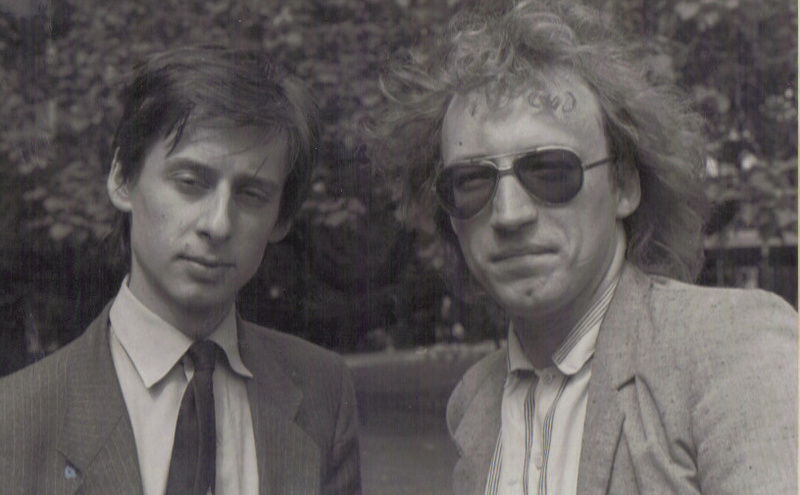 The Young Liberals and Mike in particular played a significant role in persuading Des Wilson, the then outgoing President of Friends of the Earth International, to become active again in the Liberal Party. Originally meeting with Des in the offices of Green Alliance, where he was working at the time. Wilson went on to become party president in 1986. Mike was also a very close friend who one day arrived at Asgard - where i used to live - in west London with his belongings and moved into the lounge for two years. 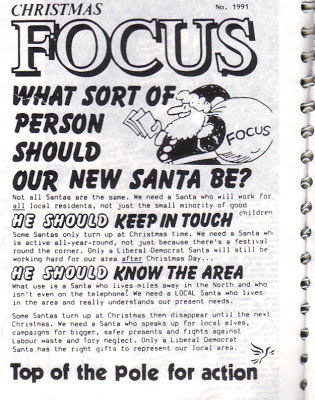 He was always creating newsletters, focus leaflets and in those days with letraset and spray glue...it took ages to get the spray glue off the lounge floor when he left to go and live in Brent. As David Alton MP said: "So long as you didn't expect Mike to be a nine to five person you could always expect material and artwork which crackled with assurance and verve....he was never sucked in by the system and kept an independent streak...remained faithful to his causes." His humour was expressed in many different ways - the press pack for the 1986 Liberal Party Conference had a picture of Bill Murray as Dr Hunter Thompson - who had been elected President of the Young Liberals months before. I have many very fond memories of working with Mike. Whether it was on the demonstration at the French Consulate calling for the resignation of the French Defence Minister after the Greenpeace ship Rainbow Warrior had been sunk (he resigned two days later) or if it was the press around the defeat of the party leadership over nuclear defence at the Eastbourne 1986 party conference or going to byelections or just discussing politics in a time of Thatcher. 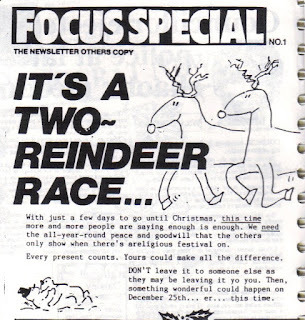 This was followed up by another Focus with the headline "It's a Two reindeer race." As Vincent Hanna the Channel 4's Host for a Week in Politics said when he heard of Mike death: "he is now the great leafleter in the sky." Mike is one of those great people who if circumstances had been different would now I believe be an MP and one that would be holding the party to account for its ideals. His idealism is remembered by his friends and will continue to guide us in the years still to come. 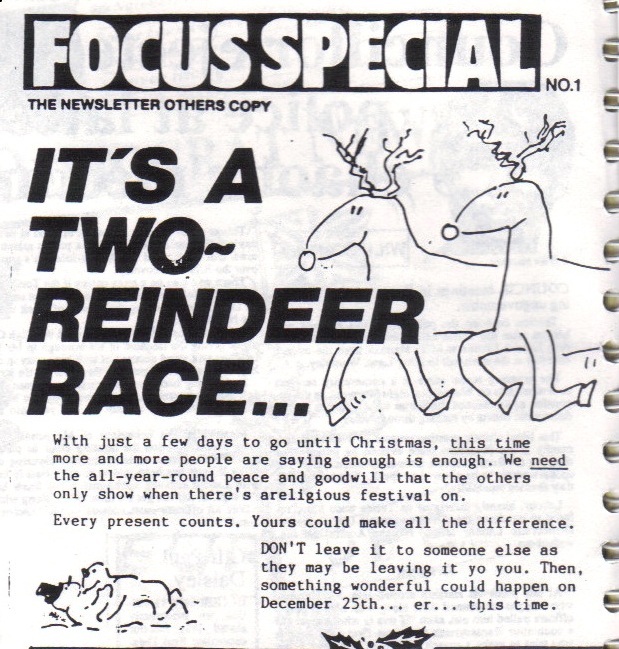 Photo just as I remember the both of you - and classic spoof Focuses - though the two reindeer one does need a bar chart I think. Wonder what Mike would be doing now - and make of Clegg and the Coalition - can't imagine he'd be very impressed by what the Party has chosen to do with its once in a century opportunity to be part of government. I've only ever heard of Mike Harskin, having been rather too young to be involved in politics when he was around, but his apparent support for extreme left positions, particularly on Northern Ireland, suggests that he might not feel at home (or even be welcome) in today's Lib Dems. I just saw your comment sorry for not responding before. 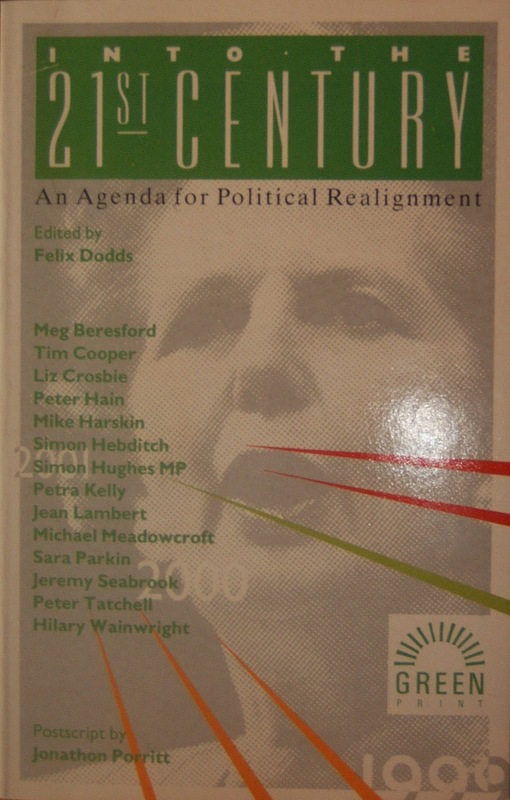 The positions were not extreme left wing positions but ones ahead of there time as the Party eventually caught up with most of them. The YLs were, i don't know now, a place for creative discussion on the issues of the time and so became more than a wing of a political party. Mike was part of that discourse what is very sad is very little of what we wrote survived.